The temptations are obvious: no living out of a bus for months on, no croaking out the same songs night after night, and no chance of surly audiences calling you washed-up has-beens. So Oasis's new world tour will be virtual, courtesy of Guitar Hero World Tour, out next week for Xbox 360 and PlayStation 3. Three songs from the Brit rocker's seventh album, Dig Out Your Soul, will be available for download first to the game from November 6 as a special 'Oasis Track Pack'. World Tour expands Guitar Hero's guitar gameplay into a cooperative band experience that adds gameplay modes including Band Career and an 8-player Battle of the Bands, allowing two full bands to compete head-to-head online. 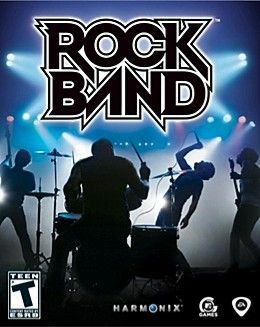 It comes with a new guitar controller, drum kit controller and a microphone, as well as an innovative Music Studio music creator that lets players compose, record, edit and share their own rock 'n' roll anthems. Bedroom rockers will also be able to share their recordings with their friends online through GHTunes where other gamers can download and play an endless supply of 'unique' (aka 'painfully bad') creations. Just like Liam and Noel, fans will be able to screech and blunder their way through Bag it Up, Waiting for the Rapture and the 'hit' first single The Shock of the Lightning, before degenerating into mutual accusations, fisticuffs and sulking until the rest of the album appears six months later.